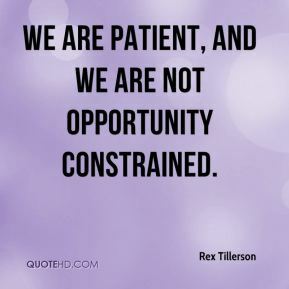 We are patient, and we are not opportunity constrained. 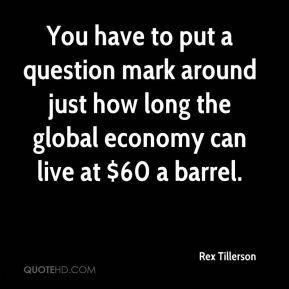 You have to put a question mark around just how long the global economy can live at $60 a barrel. 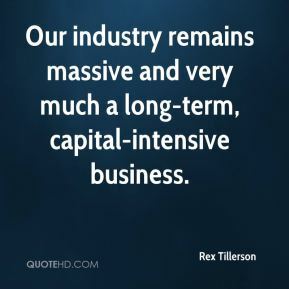 Our industry remains massive and very much a long-term, capital-intensive business. 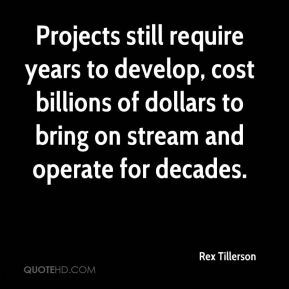 Projects still require years to develop, cost billions of dollars to bring on stream and operate for decades. This is an industry that lives in cycles. 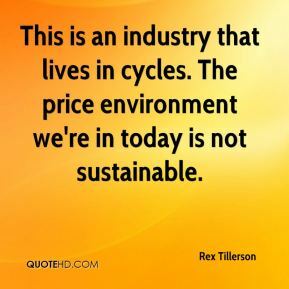 The price environment we're in today is not sustainable. 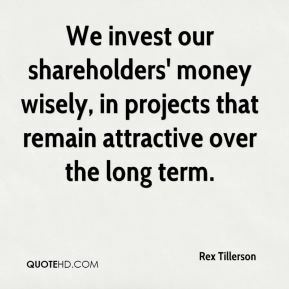 We invest our shareholders' money wisely, in projects that remain attractive over the long term. 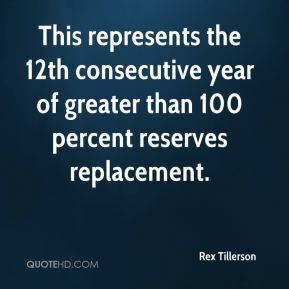 This represents the 12th consecutive year of greater than 100 percent reserves replacement. 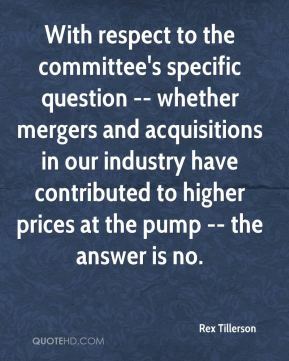 With respect to the committee's specific question -- whether mergers and acquisitions in our industry have contributed to higher prices at the pump -- the answer is no. 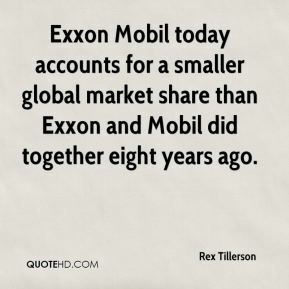 Exxon Mobil today accounts for a smaller global market share than Exxon and Mobil did together eight years ago. In our view, ROCE (return on capital employed) continues to be the best overall measure of financial performance given the long-term capital -intensive nature of our industry. I would be cautious of anyone who tries to de-emphasize it. 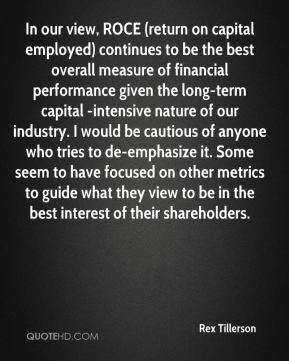 Some seem to have focused on other metrics to guide what they view to be in the best interest of their shareholders. Simply put, it works. 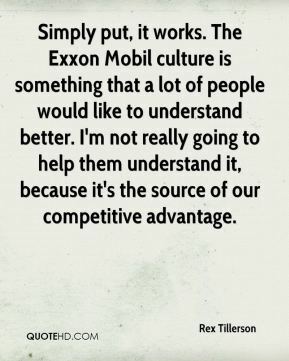 The Exxon Mobil culture is something that a lot of people would like to understand better. I'm not really going to help them understand it, because it's the source of our competitive advantage. 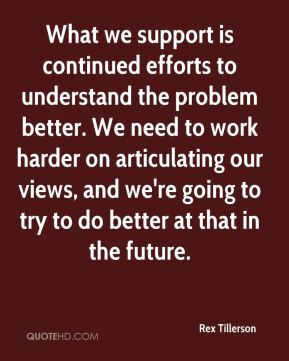 What we support is continued efforts to understand the problem better. We need to work harder on articulating our views, and we're going to try to do better at that in the future.